Fountain of Youth Molecules such as The Beauty Molecule, The Hyaluronic Molecule, and The Supergreen Molecule have made the rounds online for a very good reason, you may have also heard of Inhibitif which helps to reduce hair growth. What you may not realise is that these brands and many more all fall under the Deciem umbrella. I'm a huge skincare, lover. Don't get me wrong, I go weak at the knees for a cute lipstick and a limited edition eyeshadow palette but if I had to choose, skincare would be my go-to every single time. Typically I use a cleanser and moisturiser. When my skin's looking dull or needs additional TLC I reach for the serum - a good serum will get you far in life, think of a good serum as Spanx's for your skin. I was offered the chance to review Hylamide SubQ Anti-Age Advanced Serum and I'll not lie, I was pretty excited as the Deciem brand feed my geeky need for beauty and science. This serum, in particular, aims to rehydrate the skin below its surface while improving sagging, poor texture and visible lines. Sounds too good to be true doesn't it, so what makes Hylamide so special? ✓ One form of non-animal origin Hyaluronic Acid which helps elasticity. ✓ Two forms of low-molecular Hyaluronic Complex which helps with continual hydration. ✓ Tamarind derived Hyaluronic Acid which offers long-term benefits for hydration. ✓ Hawaiian Algae Complex and Antarctic Algae which prevent moisture loss and promote skin cell renewal. ✓ Multi-functional saccharides which help to repair the skin and helps to form a protective barrier while ensuring it looks and feels healthy and comfortable. ✓ Glycoprotein when combined with saccharides and hyaluronic acid it helps to create a protective skin matrix which not only protects the skin but helps to boost the effects of the other ingredients. ✓ Copper Lysinate & Prolinate targets collagen to improve skin health and the skin's visible age. 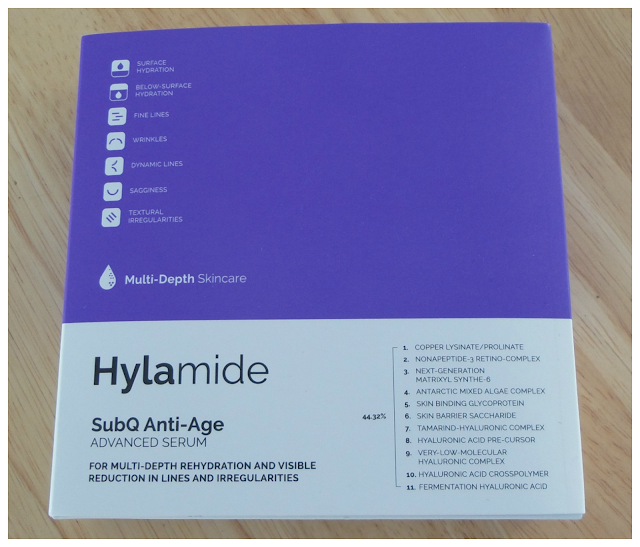 ✓ Palmitoyl Tripeptide-38 also reduces the look of lines, wrinkles and surface irregularities. Pretty amazing ingredients for one serum guys! 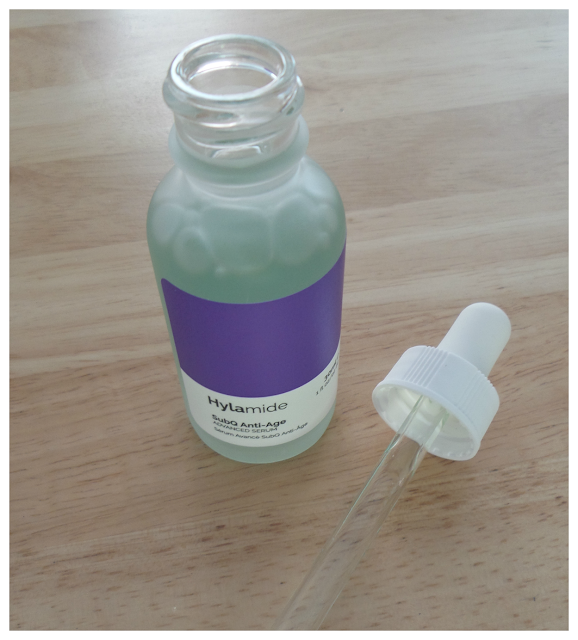 The serum comes in a heavyweight frosted glass bottle with a dropper cap. The dropped made application a doddle as I only had to apply a few drops to my palms, then straight onto my face in the morning and night after cleansing. I waited for the serum to absorb, and it did pretty quickly leaving a non-greasy texture and then I applied my daily moisturiser. What I was initially worried about was if I was going to breakout, if it would sting or if my skin would feel sticky or greasy after application. I worry about these things with all new products, but I didn't have to worry because my skin felt soft after application and there were no new blemishes or outbreaks after use. I'm still testing out the serum so can't give an overall opinion yet, but so far I'm more than happy with the results so far. 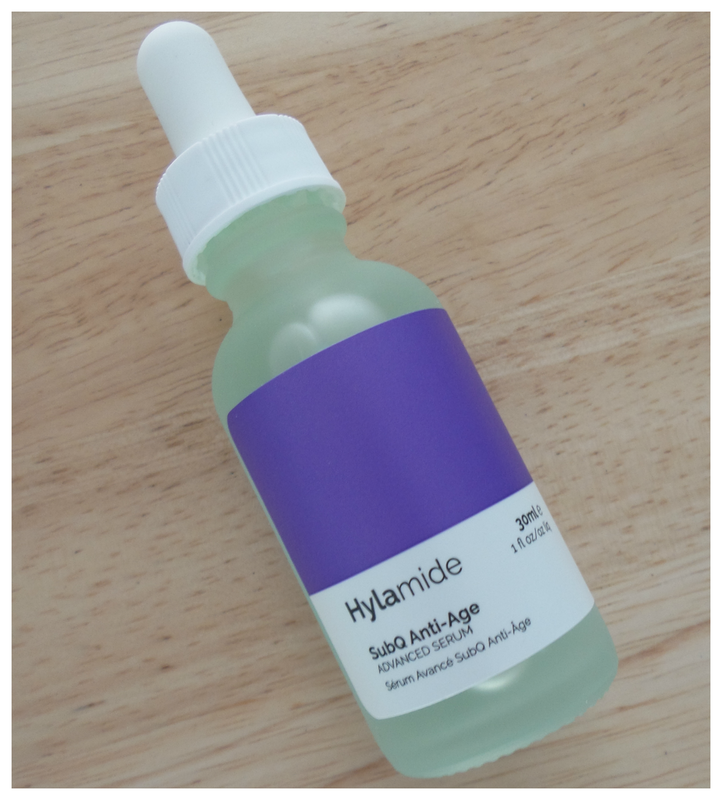 My acne scars are fading, my skin's less oily these days and I do feel like my skin's on the up - it hasn't been for a long time and this is the only new product I've implemented into my beauty regime so I'm guessing it has to be the Hylamide. Hylamide is available to purchase from the online Boots website costing £30 for 30mls. I'm not sure if it will be in store, but I know my local store do stock Deciem so you can always check them out. I fully recommend the brand that's for sure and will be back with an overall verdict in a few weeks.